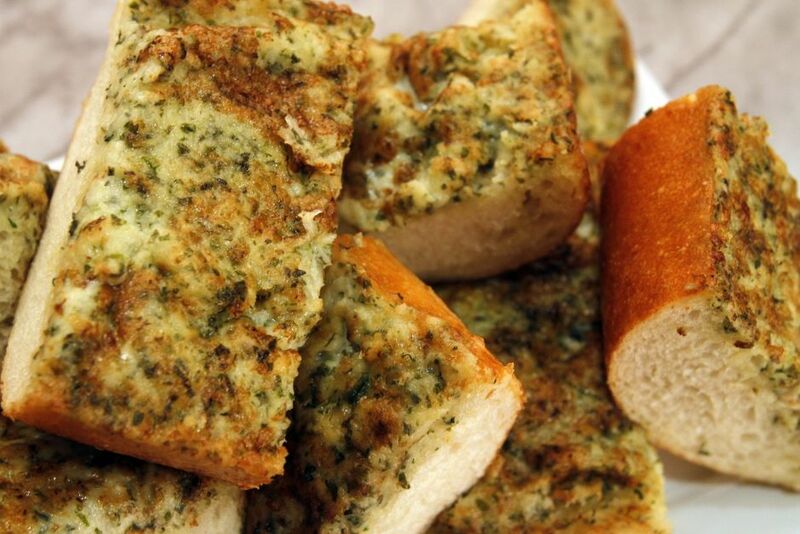 This recipe is adapted from the garlic bread available at Cedar Creek in San Juan Capistrano, California. Beat together the butter, mayonnaise, cheese, garlic, parsley, basil and oregano; taste and adjust the flavourings if desired. Spread onto the split bread and broil until the topping is browned and bubbly. Slice and serve. Note: Adapted from Cedar Creek. When testing the recipe, we increased the original amount of cheese from 1 to 2 cups for added richness and flavour.